As promised, here is the long awaited and thrilling post about resumes! Today we’re looking at the Functional Format style, which is the best one to use for people who are changing careers (like transitioning military folks), those with gaps in their employment history, or people who want to emphasize their skills for a particular job or specialized company. For men and women who are hanging up their uniforms the functional format is a very useful way of showing the talents and skills that they have developed and used during their time in the military. Even though many of the functions that servicemen and women perform during their careers are not directly transferable to the corporate sector (think rifleman, tank gunner, weapons repair specialist – you get the idea), the underlying skills and capabilities are relevant and desirable to employers. Things like leadership (that rifleman was probably a small unit leader too), teamwork (that tank gunner worked closely as a member of the team that formed the tank crew), and detail oriented task management (the weapons repair specialist worked on intricate equipment, ordered parts, and managed supplies on a daily basis). The functional format is best to show those skills and to articulate how they can be useful for a corporate employer. Remember, when you write it you need to direct it towards the Human Resources person at the company. As with all resumes you really need to work hard to “de-militarize” it as much as possible; they don’t know what a rifleman or squad leader is and certainly have no clue about the operations of the M1A1 Abrams Main Battle Tank’s gun system. Don’t make it easy for the hiring manager to throw your resume in the shredder by making it too difficult to read with military jargon and whatnot. That said, more jargon is acceptable in the functional format because the target company is probably more familiar with the skill set you are presenting and will likely know some mil-speak. Just don’t over do it. There are some great advantages to the functional format, and to take advantage of them it is best to target the resume on the job or company you are interested in. That takes a little research on your part (hello, internet!) and the patience to make adjustments to tailor your resume for each company as you go. Focusing on the target in job hunting is just as important as focusing on the target on the rifle range- if you don’t have a clear vision of what you are trying to accomplish you won’t hit the target or find a job. If you do your homework you will find the functional format easier to write because you can direct the reader (in this case, the hiring manager) to what you want them to notice about your abilities. By researching the requirements for a particular job or needs of the company, you can show how you fit the bill with the exact skills that the employer is looking for. You can also highlight all of those intangible things that you have been doing while in uniform, such as helping the community, training others, and developing leadership in those junior to you. It also allows you to cut out anything that you don’t want in your resume, such as gaps in your job history or a lousy grade point average from high school or college. Another advantage is that you can be much more succinct and direct with the functional format. In resume writing less is more. The HR person who receives your resume has a stack of them to go through, and generally speaking you have only a few seconds to grab their attention before they move on to the next one. If they have no second page to turn to then you have a bit of an advantage because they all look at the first page, and if you can get yours down to one then they will see the whole thing an not have to decide whether to go flip to the next page. The elements that I used in my functional resume (click here to take a look: Functional Resume) are pretty standard. After the standard header information (name, email address, phone number) there are four sections: A summary statement, Functional Experience, Professional Experience, and a bit about Honors, Education, and Publications. It is the resume that I used when I was leaving active duty and had an opportunity to pursue a job with an organization that was doing fire support and aviation integration operations. After researching the opportunity and talking to people who were familiar with the company and what they were looking for I highlighted those things that I had done in the past that were relevant and left out those things that weren’t. Based on my research, I wrote the summary statement to show how my experience was exactly in line with what the company was looking for. The intent is to keep the hiring manager’s eyes on the page, and by grabbing his or her attention by showing that I had the skills that they were looking for up front it piques their interest. The functional experience section is the meat of this format. I chose the six areas that I felt best met the needs of the company and showed my expertise and experience in each. Notice that there is no timeline associated with the areas, but instead a series of concrete examples of relevant and specific experience in each. The next section covers professional experience. 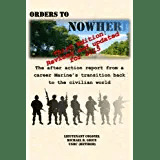 Again, there is no strict timeline associated with the bullets but I did include the years that I was deployed overseas to Iraq and Afghanistan. I chose to include those dates specifically because it showed that I had recent combat experience in fire support (remember, this resume went out in 2011). Only the jobs and deployments that are directly associated with fire support are included, though. My tours and assignments in other areas are irrelevant for this format and would have just resulted in a lot of wasted space and an unneeded second page. Lastly comes the Education, Honors, and Publications section. This bit is where you can cherry-pick those things that you have done to highlight your skills and achievements during your career. In my case I was fortunate to receive some awards that are unusual and have been published quite a bit. You should look through your awards, professional military education graduation certificates, and other certifications or qualifications and include those that will help break you out of the pack and highlight why you are the best candidate for the job. 1) The functional resume format is best for people changing careers, with gaps in their employment history, or want to emphasize specific skill sets for a particular job or specialized company. 2) Less is more- shoot for one page. This format is the easiest of the three to get down to one page. 3) Look hard at your career and pick out those things that are directly related to the job you are seeking or the company where you want to work. Ruthlessly cut out things that are not relevant! 4) Be selective in the military jargon that you include. For companies that you know will understand it – for example, if you are applying for a job at Bell Helicopter it is OK to talk about your zillions of hours flying the AH-1W/AH-1Z attack helicopter – but don’t go overboard. For those less familiar you would want to describe your extensive experience as a pilot who flew attack helicopters in the Marines. This entry was posted in Transition Posts and tagged active duty, career, Combat, EAS, Education, Employment, Marine Corps, military, Retirement, Terminal Leave, transition. Bookmark the permalink.